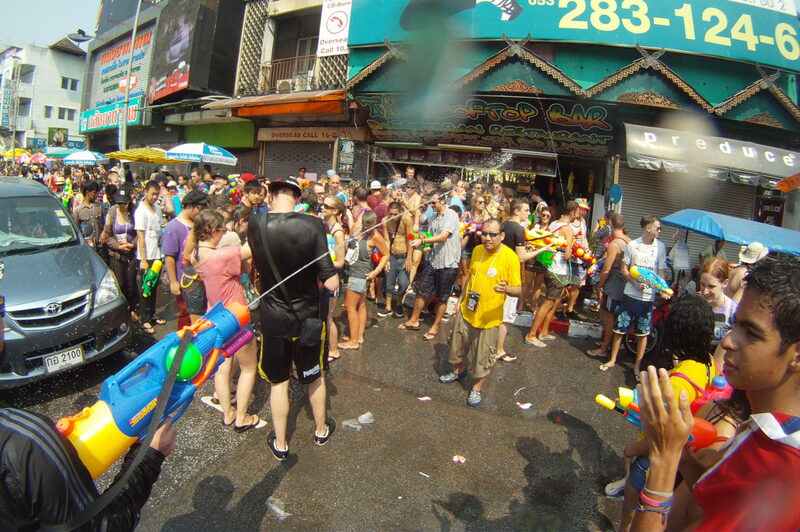 Celebrating Songkran in Chiang Mai is a once in a lifetime experience. Check what happened a few years ago. Before all the craziness celebrating the Songkran in Chiang Mai 2014, a few days before, the first buckets of water were thrown to us, in Luang Prabang – Laos. In some point of a backpacking trip in Southeast Asia, a new group of friends was just relaxing for a few days in Luang Prabang – Laos. We were a mix of nationalities, backpacking together, after meeting at some point of the trip. Portuguese, American, Dutch and French. Like was said before, we were in Luang Prabang. I decided to stay in a small café, during the daytime, and taste some local wine made from rice, while my friends went biking around the city. When they came back, they were soaking wet. From head to toes. Question: “What happened to you?“. Answer: “We don’t know. We were just biking, when, suddenly, some kids appear in front of us, and throw a few buckets of water toward us.“. At that time, we already heard a few things about the Songkran in Chiang Mai, but we were still far apart from what was about to happen. A few moments after the unplanned bath, we start to see some other kids doing the same to other people. Enjoying and laughing. Before the “bath,” we were planning to go from Luang Prabang to Chiang Rai, then Chiang Mai. But after the unexpected bath, we started to read more about the Songkran and end up deciding to go to Chiang Mai as soon as possible. And so we did. We bought a 16-hour bus ticket, from Luang Prabang to Chiang Mai. We left in the evening and arrive there in the middle of the next day. It was, maybe, the hardest trip we ever made. It started with a 13-hour bus trip in the night, then catch a boat, to cross to the Thai territory and then the border. After more three hours to Chiang Mai. It was not an easy task. Sixteen hours without lying down, only stopping time to time, till we arrive in Chiang Mai. Since we didn’t program this ahead, it was tough to find a place to stay. But, luckily, we manage to find a friendly guesthouse, right in the Old City, near the Thapae Gate. The Taicoon House. We were lucky. Songkran is such a big celebration which attract millions of people all around the world. And, most of them, go to Chiang Mai. On the day we arrive, Songkran was one day from starting. Already some people throwing water, but nothing compared to what was about to occur in the following days. This first day was spent finding a guesthouse and enjoying a cheap Thai massage to recover from the trip. One of the major perks of backpacking in Thailand. 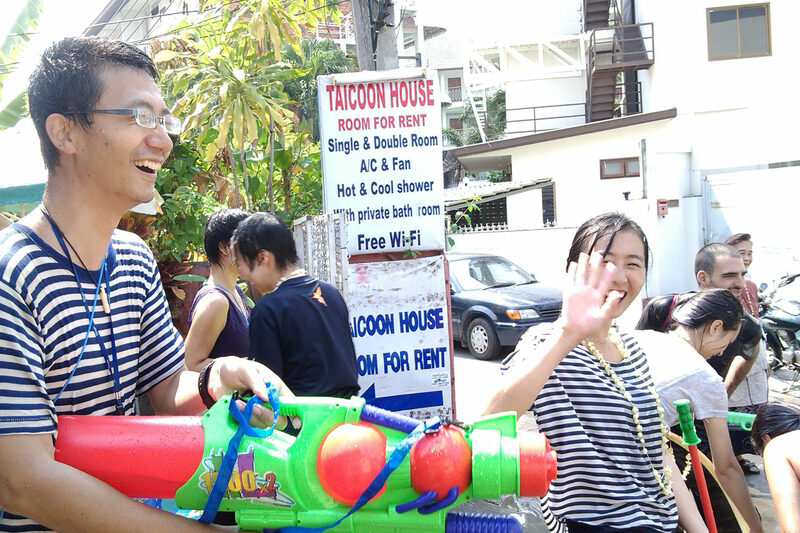 On the next day, we had the real first contact with Songkran. We were heading for breakfast, as usual, fried rice with chicken (or pork), when some local woman throws a full and cold bucket of water toward us. Two minutes outside, and we were already wet, but still in need for breakfast. There was nothing we could do. So we sit down, wet, in some local Thai restaurant and order for our fried rice. While we were there, things started to heat up. More people were gathering around, already armed with water guns, restaurants installing big buckets with water and ice, so people could reload and fire nonstop. After that, there was no stopping. At first, we resist on buying water guns. We thought “we are not kids.“. But after a while, after being complete wet, again and again, we needed to fight back. We felt just like sitting ducks… getting wet. And some of our stuff (clothes inside a bag) became wet also. Fortunately, we had some extra inside guesthouse. If we just had a Dry Bag with us, there wouldn’t be any problem. We could be more relaxed with our most important stuff, like passport, cell phone or money. It was three complete days, with everyone throwing water to everyone. The only exception was in the night. At night there was some cease-fire between everyone, so you could change to dry clothes, have dinner relaxed and go to the night market. On the next day, the same thing. Wake up, get out for breakfast, wet, eat, wet again and, all day, wet. The most strange that happen in Songkran in Chiang Mai was that, at some point, it started to rain.Everyone ran to protect themselves from the rain. Strange isn’t it? Everyone ran to protect themselves from the rain. 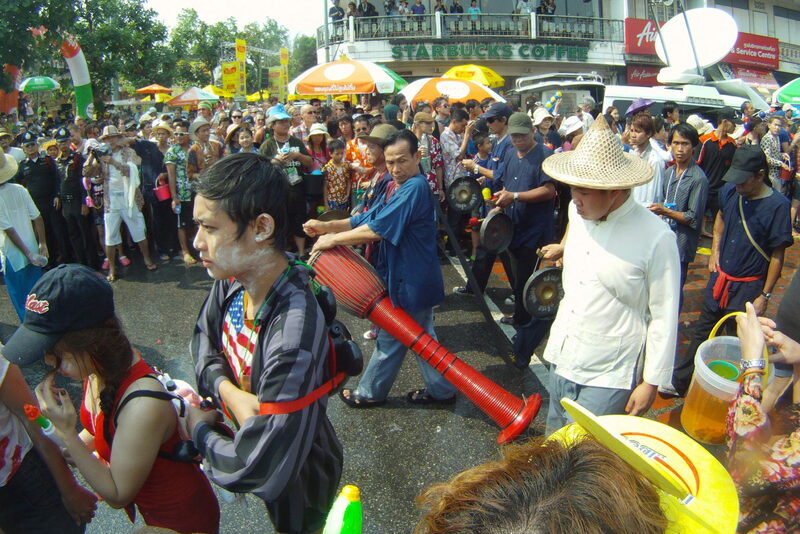 One of the most important moments in Songkran in Chiang Mai is the parade. 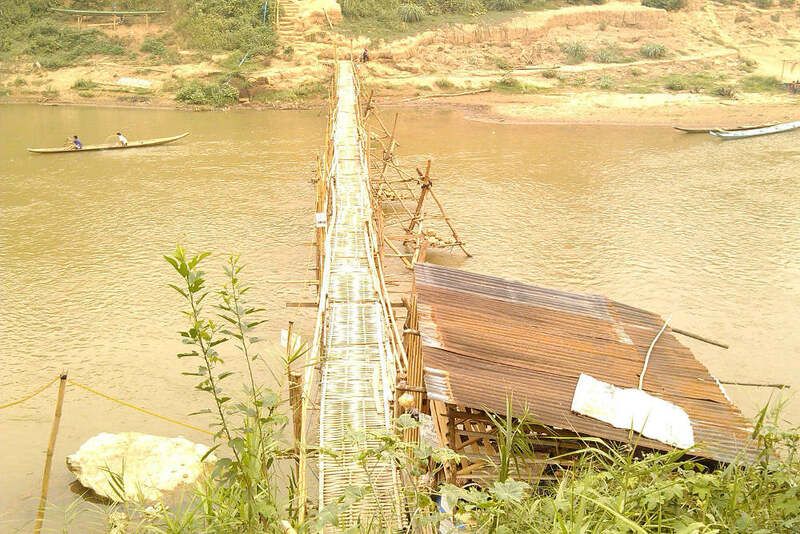 It starts in Nawarat Bridge around the Mae Ping River, crosses the Thapae Gate and finishes in Wat Prasingh. A parade to homage the Thai society and Buddha as well.Statues are brought from the temples and carried my monks and other peoples, in the sound of drums, traditional dances. Statues are brought from the temples and taken by monks and other local people, universities, hospitals, schools. Every Thai institution was present on this very long parade. After spending three days of Songkran in Chiang Mai, I was just tired of being wet all day. So I decided to make a quick run to the neighboring city of Pai. I rented a motorbike and left Chiang Mai, early in the morning, around 7 am, avoiding all water throwers. It was an almost perfect plan. So, as soon as I was leaving Chiang Mai, the first bucket of water hit me. After all, some people wake up early, even in Songkran. It was the most uncomfortable feeling. Chiang Mai can be a bit cooler than other places in the south of Thailand. So, being wet early in the morning, riding a scooter in Chiang Mai was a bit chilly. But this was just the beginning. I had more 130km of road. In all that those 762 curves to Pai, I was the only crazy backpacker on the road. Every time I pass a small village, the same thing happened. A group of kids, dancing on the streets, just waiting for me, with their buckets of water ready to throw. They couldn’t miss. And they didn’t. The one time I try to avoid the water, I almost crashed into a car. Wrong choice. It’s better to face the water. Needless to say that, my 130km trip to Pai, was spent getting wet, getting dry, then wet again. But don’t think that it was dangerous or even annoying. Nothing like that. It was an incredible experience. When you have the chance of being in Asia, every time you feel safe, rent a motorbike. You won’t regret. When I arrived in Pai, it was hell, except instead of fire, there was water, and a lot of it. It’s like all people in that small city decided to welcome me in the most friendly way they could: throwing water. Hundreds of liters of water, just for me. Uauuu I felt so special. It was so much water that I had to run away (in motorbike) from the downtown of Pai, just to find a nice, calm and dry spot, and look for a guesthouse in peace. After I had found a cool, cheap guesthouse, I went to some local coffee and watched others having the same welcome reception I did. Nothing. It’s like all people in the village were waiting just for me and waste all the water they could have at that moment. It looked like I caught the end of Songkran in Pai, and I was the last victim. Since there was no more water, I went just for a walk in the city, relax and, in the next day, return to Chiang Mai. 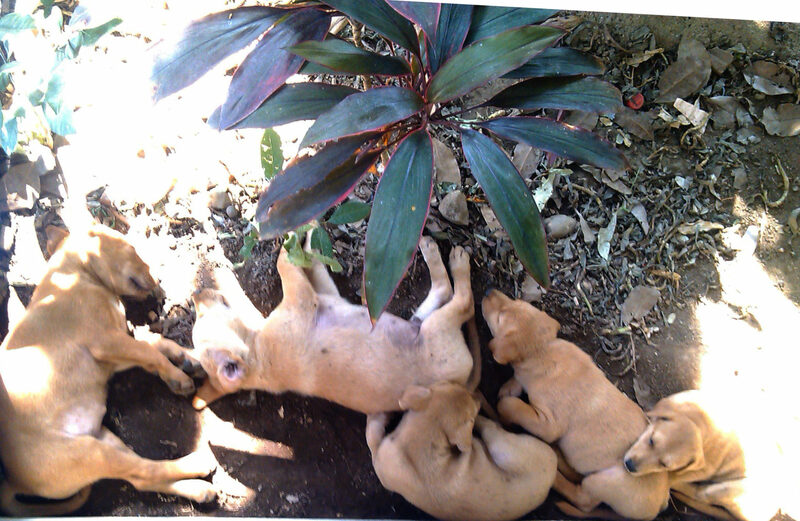 Waking up in the next day, in a good, cheap guesthouse, with a garden inside, and these puppies just relaxing on the porch of my room. What a nice wake-up feeling. After waking up, I pack my things and left, back to Chiang Mai. Supposedly the Songkran was already finished. So I could have a comfortable trip. Wrong Again. Still, some kids were on the roads, dancing and throwing buckets of water. Again, I was the only backpacker on the street. Everything on this trip was just amazing, and being there, living the Songkran was unique. If you never been there, I can only say to you that you will love it. And if you can, do the same thing I did. Rent a motorbike and go to Pai. What an incredible village. If you do, follow my advice, and take a Dry Bag like the Hikerpack with you. More than enjoying, it’s important that your stuff doesn’t get wet. Only you. My advice, if you have the chance, go and celebrate Songkran. You won’t regret.